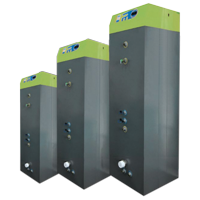 The CK Direct Ozocube™ is a high efficiency ozone generator unit, ideal for use in commercial kitchens, food processing plants and factories. The unit is installed between the extraction point and the exhaust fan, external to the ductwork, making servicing and maintenance much easier. The unit eliminates smells by oxidising pathogens in the exhaust pipes and also prevents the build-up of residue in the ductwork, preventing failures in fans and fire hazards. Energy savings – operate your extraction hoods at lower speed and save money on heating and extraction costs. Effective odour control – no cooking or rancid grease smells emerge from the ducting as ozone neutralises unpleasant smells. Extend operating lifespan – ozone acts as a safe, continuous degreasing agent enabling the optimal operation of the extraction system. Noise reduction – run the fans quietly on low speed and create a better working environment.